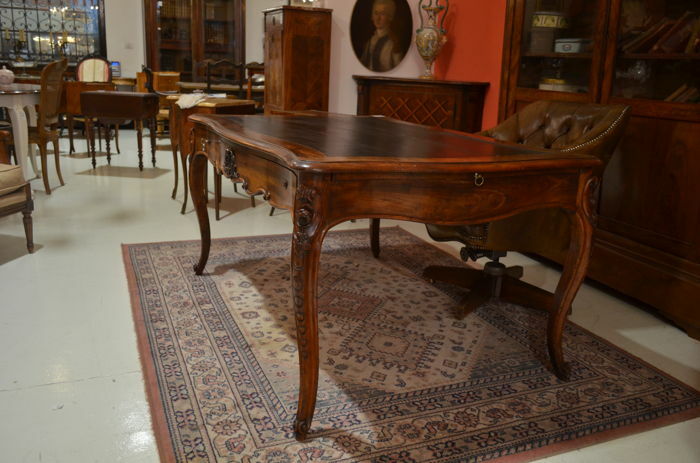 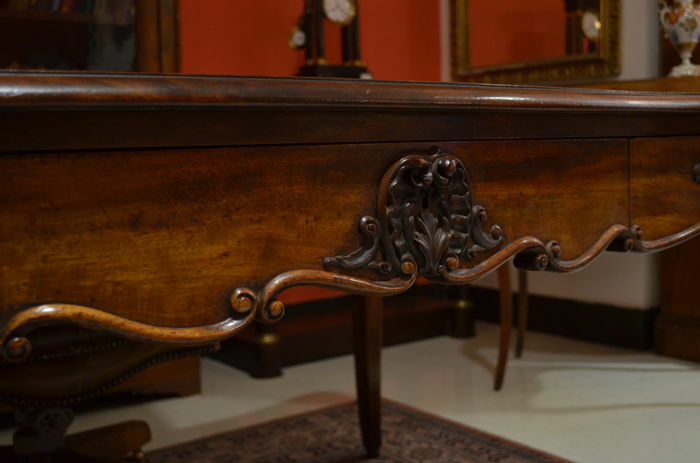 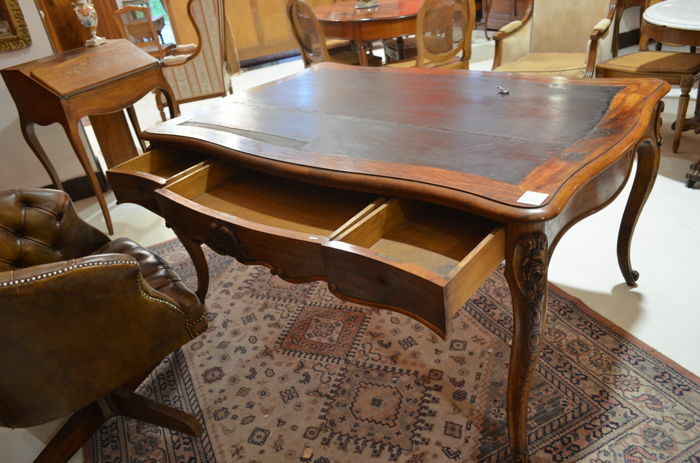 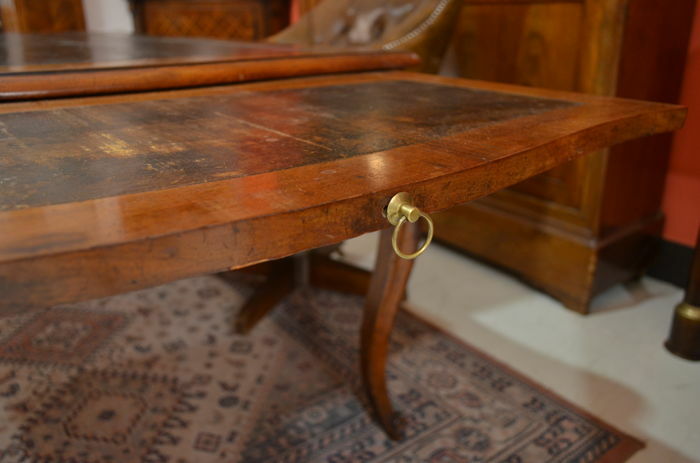 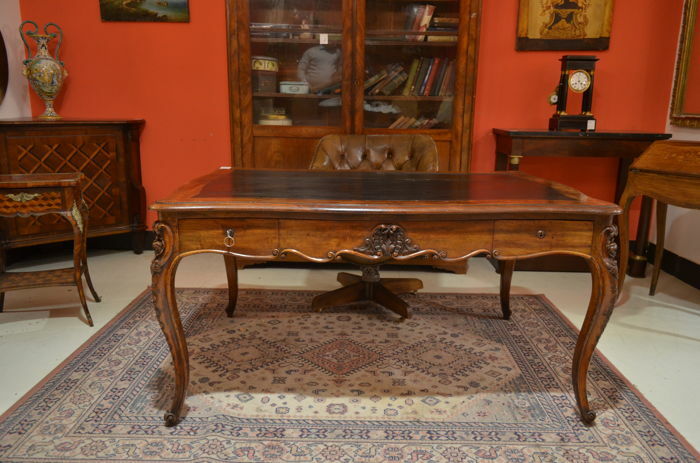 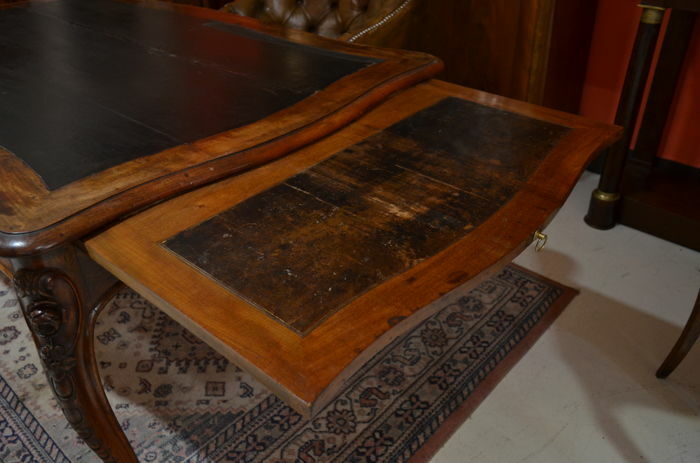 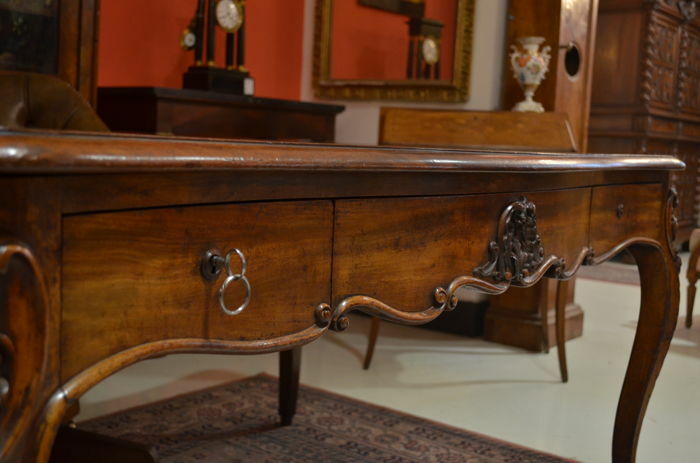 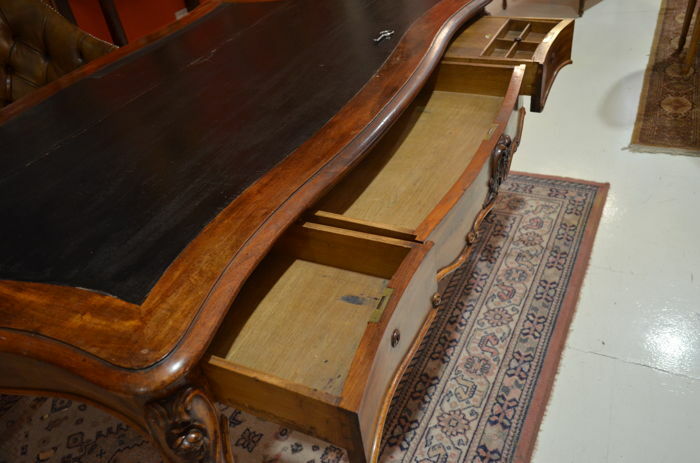 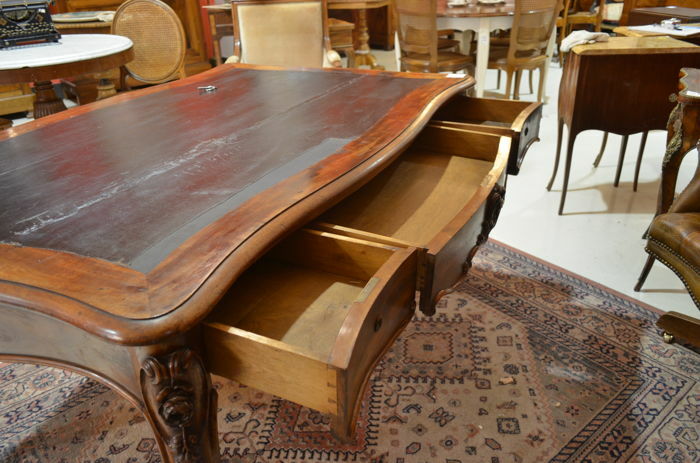 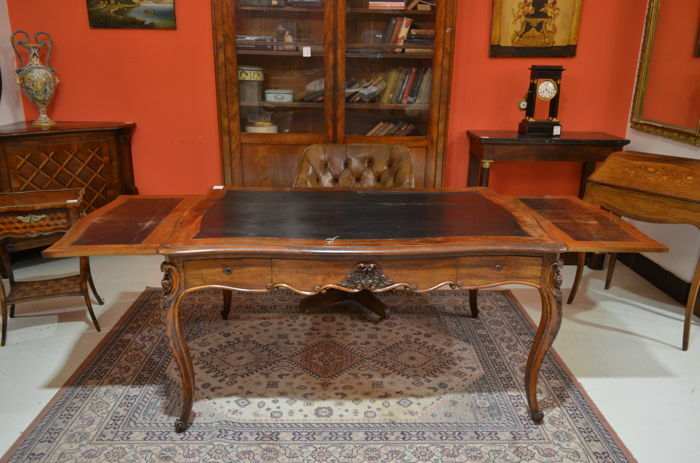 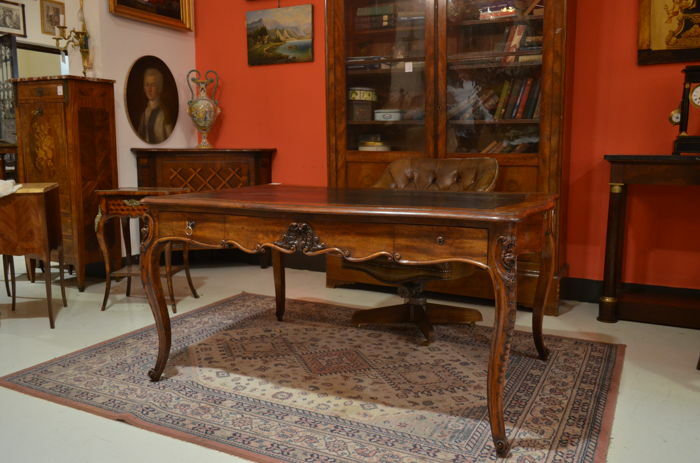 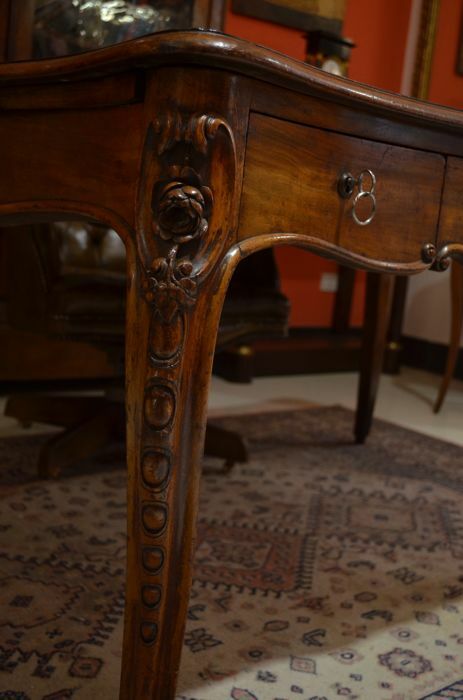 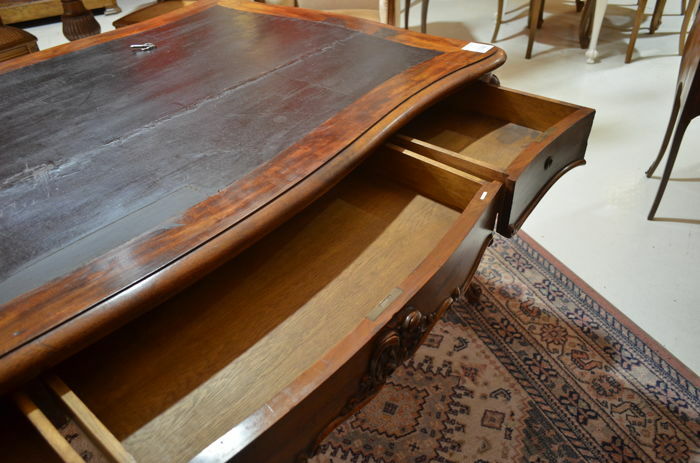 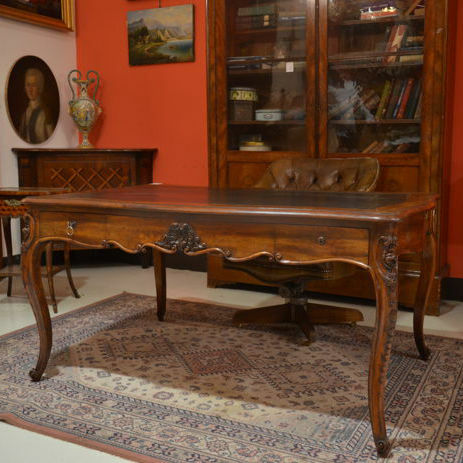 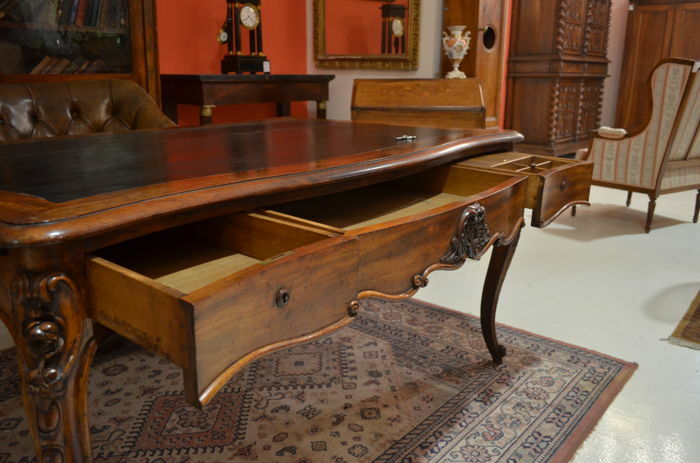 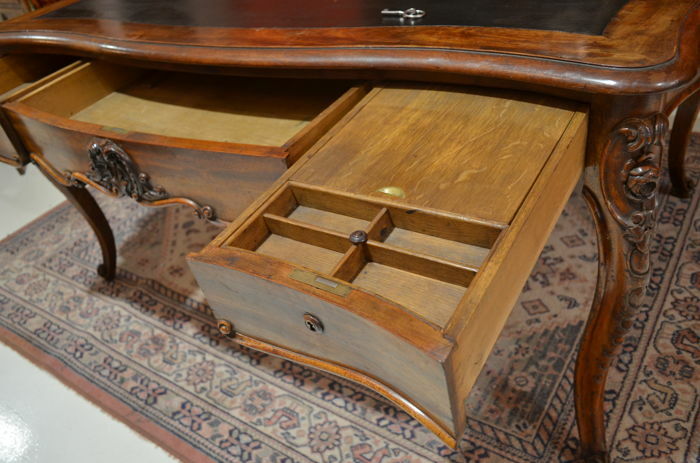 Louis Philippe Central Desk - Mahogany - France - 1840 c.
Louis Philippe central desk made of mahogany wood, of French origin, dating from c. 1840 The desk is fitted with drawers on both sides and shelves on the sides. 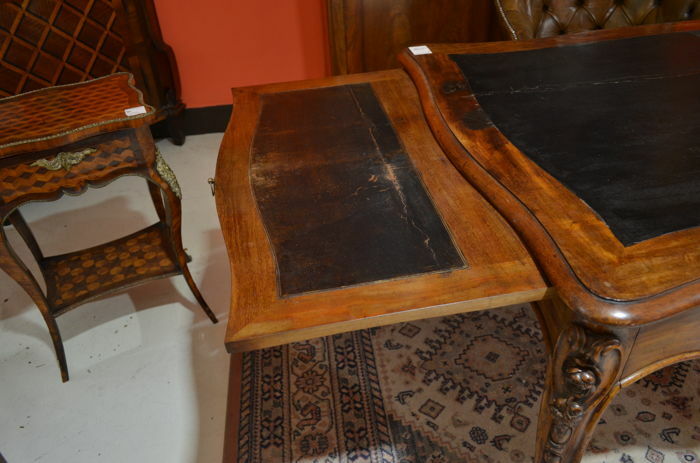 The shaped top is upholstered with black leather, the band is wavy and bordered with a handcrafted frame of curled volutes. 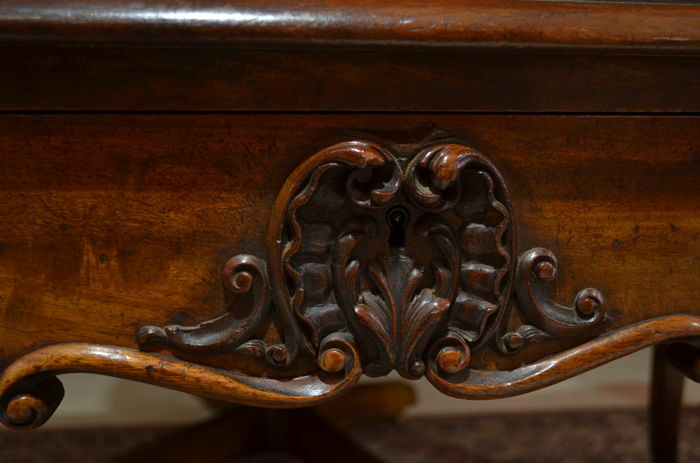 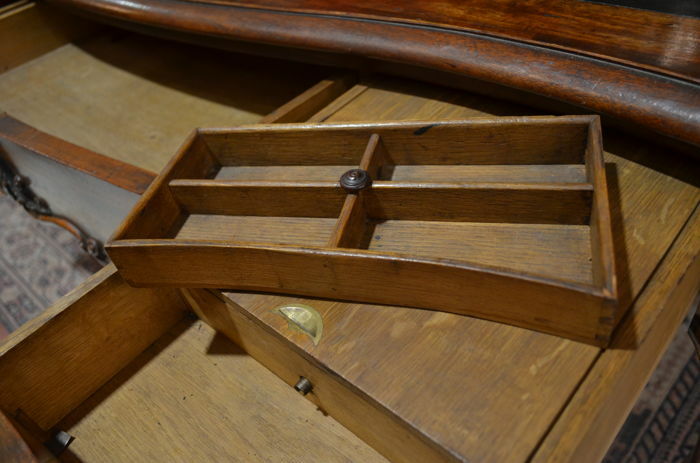 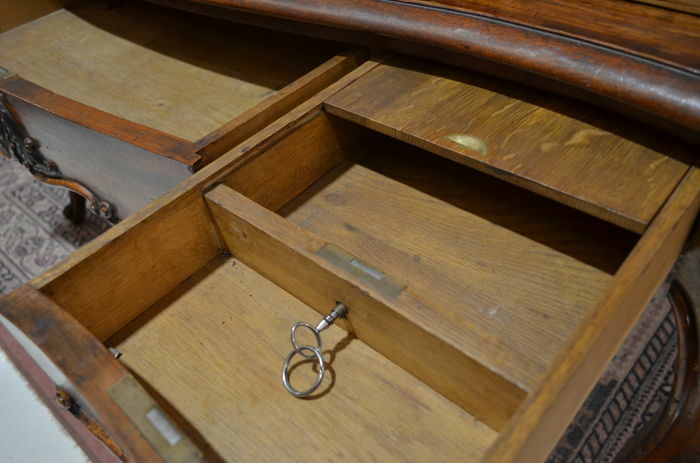 The central drawer is decorated with a medallion with volutes and acanthus leaves. 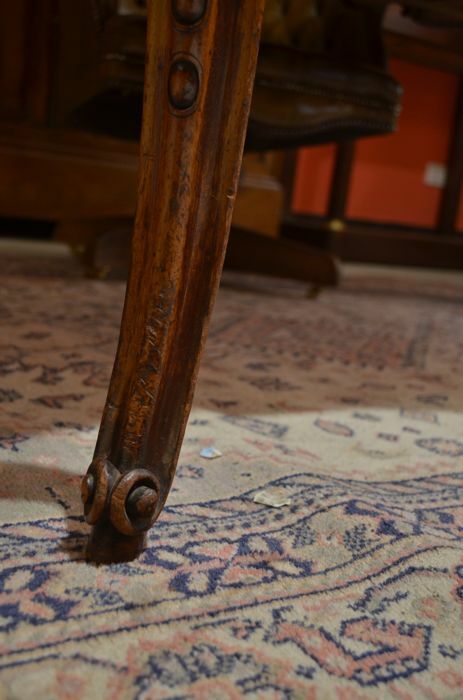 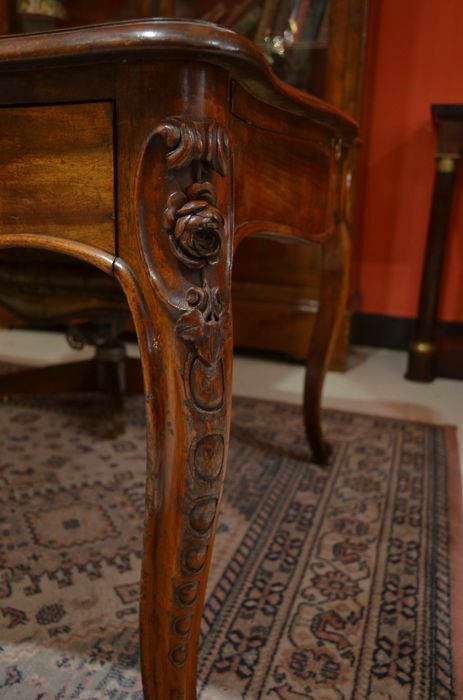 The feet are arched and carved with floral and geometric motifs. 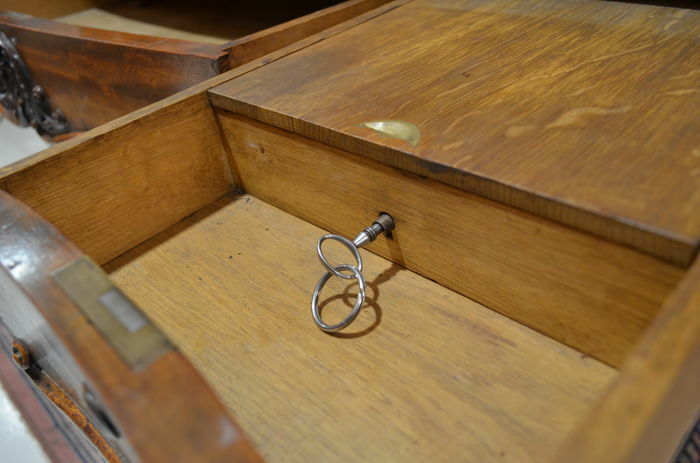 It comes with a single original key that works perfectly for all trays. 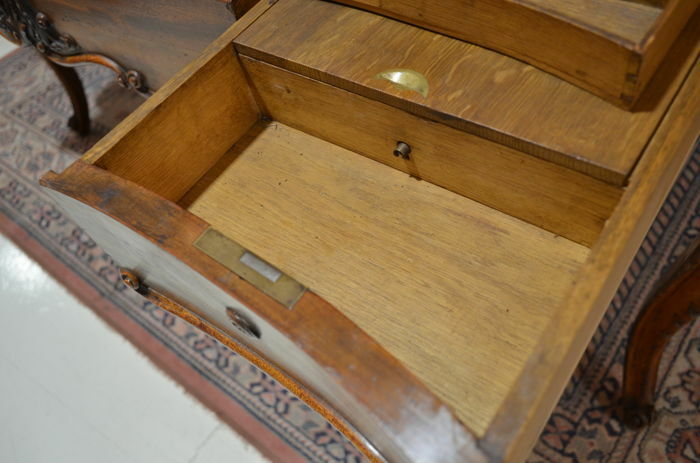 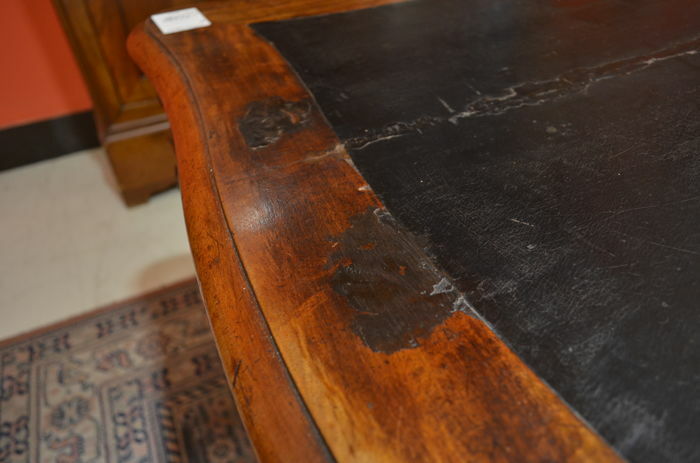 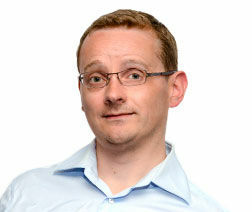 The condition is excellent, but it is necessary to replace the skin of shelf and brackets. 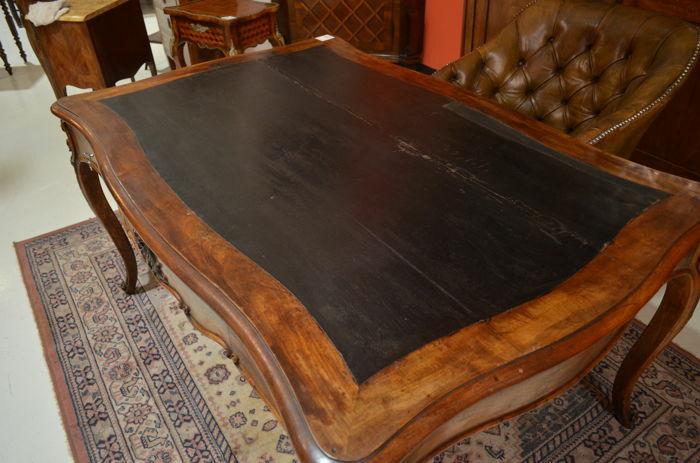 You can pick up this lot from the seller: Triggiano (BARI), Italy.